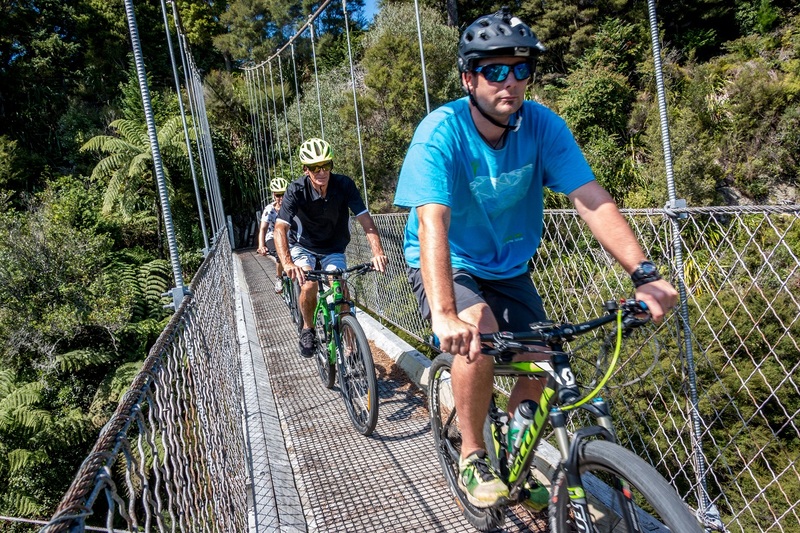 Take a guided mountain bike tour on a section of the Waikato River Trail. 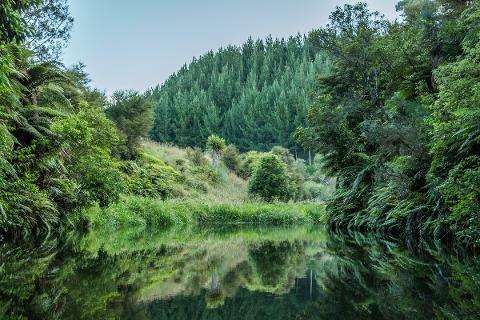 16km on undulating grade 2 - 3 alongside the mighty Waikato River and past farmland & native bush. 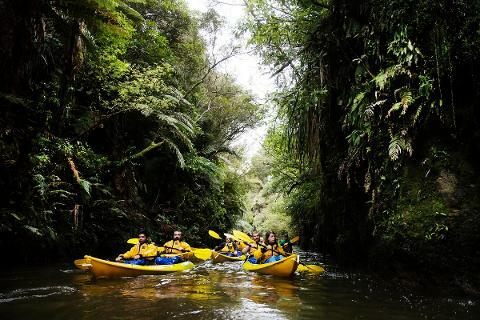 Then paddle the southern portion of Lake Karapiro over the flooded Horahora Dam & up the scenic Pokaiwhenua Stream. This trip takes approx 6 hours. All bikes, helmets, kayaks, safety gear plus guides & shuttle supplied. You bring yourself, camera, water bottle and sunscreen.